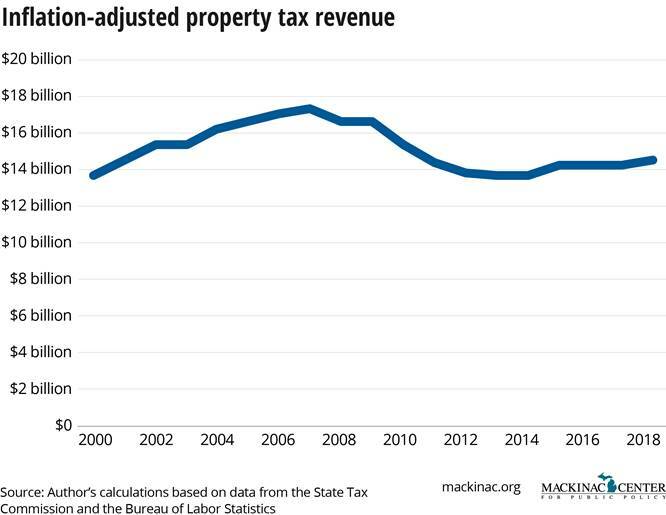 Of all of the state and local taxes in Michigan, property taxes raise the most revenue. 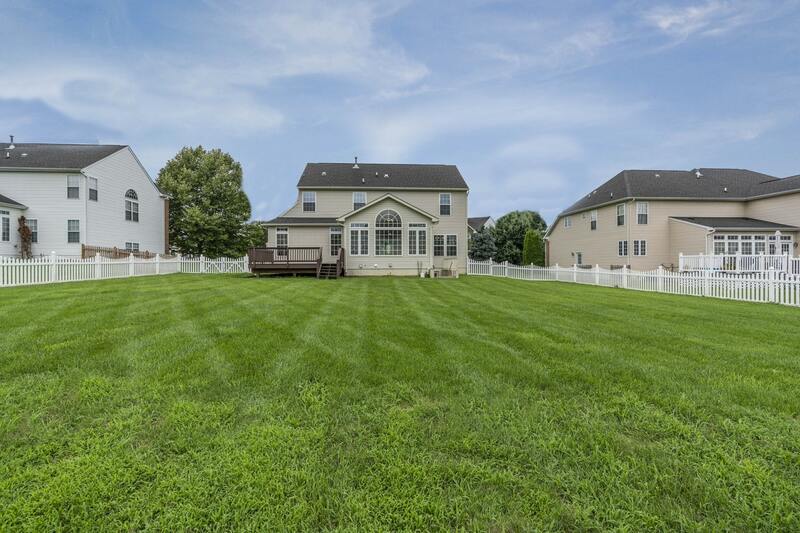 And 2018 was a big year for property taxes. Total property tax revenue increased from $14.0 billion in 2017 to $14.6 billion in 2018, a 2.1% increase above inflation. Property tax revenues have seen peaks and valleys over the past 18 years. They increased from $9.5 billion in 2000 to $14.3 billion in 2007, which is 25% above inflation. Receipts from the tax then went on a five year decline down to $12.8 billion, a 19% drop after adjusting for inflation. Revenue increased since to the current level. The recent annual gain includes $242 million more for school districts, $147 million more for counties, $94 million more for cities and $78 million more for the state’s six-mill education property tax, most of which will also go to school districts. Property taxes are limited in Michigan. Millages authorized after 1978 need to be approved by local voters, and rates are automatically reduced if property values in a local government’s area grow faster than inflation, excluding new construction and improvements. And an individual’s annual property tax assessment cannot increase faster than inflation or 5%, whichever is lower. But these values reset when a property is sold. But such limits do not mean that property tax revenues cannot exceed inflation when there is sufficient economic growth and new construction, as the 2018 property tax revenue indicates. It remains to be seen whether this growth will propel property tax revenues back to their previous highs. Permission to reprint this blog post in whole or in part is hereby granted, provided that the author (or authors) and	the Mackinac Center for Public Policy are properly cited. Permission to reprint any comments below is granted only for those comments written by Mackinac Center policy staff. Tax Parity? Or Just A Big Tax Hike On Many Michigan Small Businesses? Michigan Capitol Confidential is a nonprofit news service published by the Mackinac Center and funded entirely through voluntary support. Please consider a gift today to help shine a light on government through independent journalism.